November’s the perfect month for ghost stories. An eerie mist hangs in the air, trees clutch skeletally at their last dying leaves, darkness creeps up on us ever earlier each night… it’s all conducive to being gleefully scared shitless. And The Awakening, released in cinemas last weekend, does exactly that. The Awakening is a proper, old-fashioned ghost story set in 1921, with an emphasis on atmosphere, suggestion, beautifully haunting cinematography and well-timed shocks rather than gore and effects. 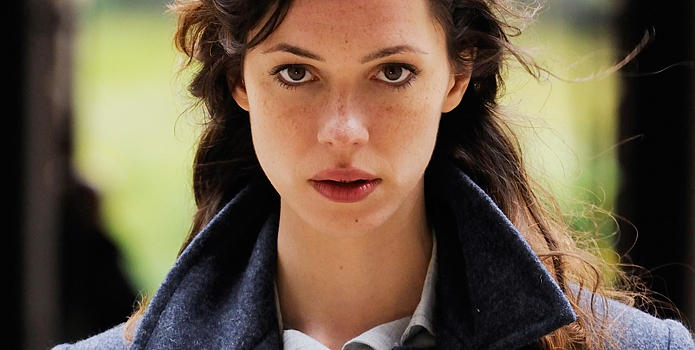 Rebecca Hall is likeable as bluestocking Florence Cathcart, who could easily have been insufferable in the hands of a lesser actor; Dominic West turns in a typically convincing performance as a teacher battling shellshock, and Imelda Staunton is perfectly cast as a maternal school matron. Pale, doe-eyed whippersnapper Isaac Hempstead Wright is also impressive as boarding school misfit Tom. I won’t claim The Awakening is groundbreaking. The twists are clever, but hardly revolutionary, and much of the creepiness comes from fairly standard devices – ghostly images in old photos, spectral children, secret passages and vaguely sinister objects appearing in odd places. However, this doesn’t make them any less unsettling, and there are original touches scattered throughout too – one particular scene with a dolls’ house made my skin crawl. Moreover, the references to the First World War are well-placed: as well as the ghostly child purported to be haunting a remote boarding school, the universal spectre of the war hovers over everyone. There’s schoolteacher Mallory, with his survivor’s guilt and his residual stammer. There’s Florence, emotionally crippled by the death of her ex-fiancé. There’s even handyman Judd, rendered bitter and resentful by his own cowardice. Lest we forget, indeed. As the nerve-shredding chills in the final third of the film build to a climax, it might be fair to say that things are a wee bit drawn out and overblown. But frankly, I didn’t care. The Awakening isn’t quite The Others, but it’s got great performances, a strong script and enough jump-out-of-your-seat moments to keep you thoroughly entertained on a dark evening. According to Peter Ackroyd’s recent book, The English Ghost, the English produce more ghost stories than any other nation in the world, and The Awakening – a BBC Films production – does a fine job of upholding that tradition. On a grey, miserable northern day, a traditional Victorian Gothic funeral cortege proceeds solemnly to the cemetery. Only… the Funeral March has been replaced by low-tempo, gloomy circus music. And the mourners are clowns. 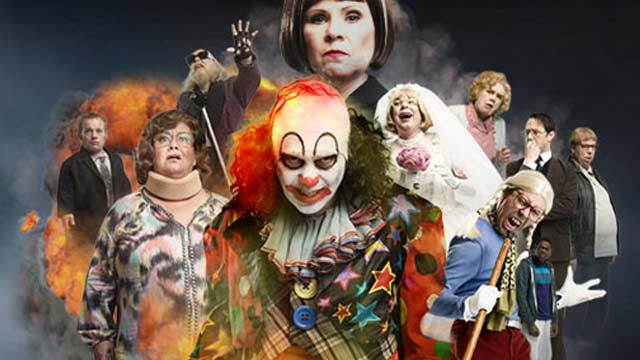 Comedy thriller Psychoville, created by Reece Shearsmith and Steve Pemberton, is even more influenced by horror than their previous project, The League of Gentlemen. Psychoville has all the hallmarks of an old low-budget British horror film, including a large cast of deeply unglamorous characters with secrets to hide, an old psychiatric hospital, and more twists than a Turkey Twizzler. However, you couldn’t really call it a spoof. There are plenty of laughs, and plenty of subverted horror clichés. But it’s genuinely eerie and frequently gory, and it never exploits splatter for laughs. Shearsmith and Pemberton, even rendered unrecognisable by make-up, are good enough actors to play it straight when necessary, and the supporting cast includes reliable stalwarts like Dawn French, David Bamber and Imelda Staunton. The first series of Psychoville revolved around the former inmates of Ravenhill psychiatric hospital receiving sinister letters saying ‘I know what you did’. Among these misfits were Mr Jelly, the embittered one-handed children’s entertainer, slackjawed David, whose mother tests him on his favourite serial killers while picking the eczema off his back, and Lomax, a wart-faced millionaire who sold his own eyes to Siamese twins for a rare Beanie Baby. As if these weren’t bizarre enough, there are plenty of others. I haven’t even mentioned the evil telekinetic dwarf. Now, the letters have started again, and the mysterious Detective Inspector Finney is keen to find out what happened at Ravenhill. Not all the characters appear to have survived (although since this is Psychoville, they could be reaching Carrie-style from the grave as we speak) but there are some welcome additions. Reece Shearsmith’s Jeremy Goode is a particular gem: a meticulous librarian who, after the maddening non-return of 50 Great Coastal Walks of the British Isles, is tortured by visions of the monstrous Silent Singer. Ah yes, the Silent Singer. This hideous, snaggle-toothed apparition in pigtails appears to Jeremy for reasons which, I suspect, might just turn out to be ‘because it’s dead scary’. And really, that reason is quite good enough. The Silent Singer, like The League of Gentlemen’s Papa Lazarou (‘Hello Daaaaaave?’) is funny because it’s terrifying. It’s like something you see in one of your weirder nightmares but can laugh about when you wake up… while inwardly praying you won’t see it again. The Silent Singer just about epitomises Psychoville. Bafflingly weird, funny enough for the occasional belly-laugh, but gleefully creepy enough to make you sleep with the lights on. BBC1’s MasterChef is a bafflingly long and slightly hysterical series in which mostly middle-class contestants battle it out in the kitchen. As well as studio cook-offs, the would-be chefs also cook in real restaurants and take part in ‘surprise’ challenges… except they’re not a surprise, because they’re essentially the same every bloody series and one of them always involves catering for an event in a field (this year, a Highland Games; brilliantly, the only Scottish contestant disgraced himself by cutting his finger and whimpering like a girl). I like watching over-confident fools wilt under pressure – a ‘deconstructed trifle’ that ended up looking like a selection of bodily fluids splattered on to a plate was a particular treat in episode one, for example. On that score, MasterChef pleases me. And I’ll freely admit that I find watching anyone cook interesting. Unfortunately, the programme-makers apparently don’t: this is surely only explanation for surplus melodrama they’ve shovelled on. The voiceover is delivered in the style of a judge passing a death sentence. An inexplicably blindfolded contestant sniffs a flabby lump of raw meat to music you’d expect to accompany Jack Bauer defusing a bomb. 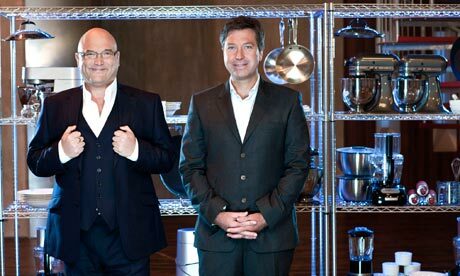 Presiding over this laughable nonsense are John Torode and Gregg Wallace. Torode is the Ronseal-faced Aussie who used to cook horrid 90s ‘fusion’ food on This Morning With Richard & Judy. Wallace is… a greengrocer. But my most pressing complaint about MasterChef is the contestants. These smug bastards don’t need to become top chefs: they already have cool jobs. ‘Kennedy’ is a professional cellist. Alice is a model. Last year’s winner was a paediatrician – albeit captioned as a ‘children’s doctor’, presumably to ward off torch-wielding mobs of Sun readers confusing paediatricians with paedophiles. This country doesn’t need qualified paediatricians (or indeed qualified paedophiles) dicking about in a kitchen smearing artful apostrophes of celeriac purée on a square plate. I vote that next series, all the contestants are council workers made redundant to make way for the Big Society. Then I might bring myself to give a toss who wins. Let’s face it early evening telly is fairly abysmal. Thankfully, that has all changed with the arrival of BBC’s frankly marvellous Royal Upstairs Downstairs. As I had suspected, the show has proven to be a delight – so much so that I look forward to this dip into England’s architectural and food heritage with something akin to the happy glow a child on being told that sorry, no school today, the teachers are all snowed in. 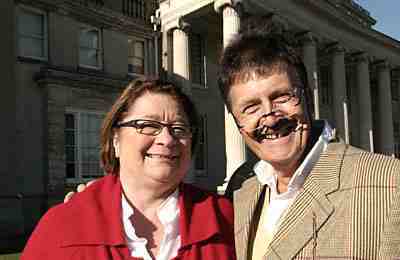 It is a beguilingly simple premise – two likable experts, moustachioed Antiques Roadshow primo Tim Wonnacott and Ladettes to Ladies cookery teacher, Rosemary Shrager take a step back in time, revisiting the houses, castles and stately homes Queen Victoria stayed in during her life. Cue lots of grand old houses surrounded by acres of lush greenery, lofty rooms bedecked in sumptuous antiquary and culinary delights made out of (dare I even say it) full fat cream and other similar stuffs. Tim and his endearingly posh accent guide us around the upstairs, delivering an enthusiastic peek into how the residents once lived and dealt with the impending horror/privilege of a visit from Her Nibs. Rosemary sequesters herself in the downstairs where, with the help of food historian Ivan Day, she recreates some of yesteryear’s marvellous grub (ice cream moulded to the shape and colour of a pineapple, anyone?). But – and there is always a but, isn’t there – trying to pack so much into a piddly half hour show is not only frustrating, it is downright shameful. Royal Upstairs Downstairs is quite simply too short and if Queen V were alive I am sure she would agree. We want more! Tim in particular doesn’t have enough time to adequately reveal the joys of the upstairs while sharing his extensive knowledge of past times while poor old Rosemary and Ivan cook a single dish then are left wittering on about how a ten course menu would have been served up, without having enough minutes to give us a fuller flavour of the dishes. Royal Upstairs Downstairs is a worthy celebration of the UK’s many wonderful county piles and I hope it is only the beginning of many similar shows to come, with or without the royal angle. The lovely Ivan could even have his own show where he recreates historic feasts, which would surely be a wonderful respite from the glut of same old cookery dross currently trotting across our screens on a weekly basis (excepting of course Nigel Slater’s Simple Suppers). Walliams’ and Lucas’ contentious brand of catchphrase comedy has led to the pair being crowned Britain’s most popular Queens of Crude, free to take the prime-time TV throne and disgrace the nation with incontinent pensioners, breast-feeding men and bad transvestites. Where the first two series of Little Britain left an unforgettable stretch mark on British comedy, the third series became an overindulgence of the absurd, leaving the duo shaking off a sickly gloop of prosthetics, wigs and makeup after the show’s enormous bubble burst and failed to translate with American audiences. To save themselves from becoming lost souls doomed to wander the post-sitcom cemetery for eternity, the pair split in pursuit of new distractions; Walliams swimming the Channel and authoring best-selling children’s books, and Lucas starring in the musical Taboo and blockbuster Alice in Wonderland. After 18 months in the making, the tag-team returned to our screens with the mockumentary series Come Fly With Me, which sees the boys dust down the fat suits and crank up the crass with an overblown splay of airport-based characters, such as Walliams’ mean Omar, an airline boss too stingy to buy lifejackets for his own airplanes, and Lucas’ evangelic Precious, a lady too lazy to run her own coffee shop. Oh, there’s Mickey and Buster, the hapless paparazzi guys that keep missing their celebrity targets, Taaj, the Muslim ground-crew member who asks “do you get me?”, and “innit?” at the end of every sentence, and Ian, the immigration control officer who’s suspicious of anyone with a moustache or an accent. And that’s pretty much it, stretched over six episodes. Lots of blacking-up, lots of minority stereotypes, lots of yawnsome jokes, many of which have been done better elsewhere – married pilots arguing, anyone? But, as ever, Walliams continues to dazzle us with his array of comedy voices, of which there are two; him, and him higher pitched. It’s as if all of the imagination and mania of Rock Profile and early Little Britain has been sucked into a jet engine, and out of the other end sprays a corrosive slurry of knuckle-dragging, barrel-scraping, numb-nuts comedy; the type, it appears, that the anti-golliwog BBC thought too good to resist. But, race isn’t the issue here, bad jokes are. Thousands of viewers complained to the Beeb following its debut airing on Christmas Day, despite pulling in over 10 million viewers. Though, this figure probably owes more to the fact that, on Christmas Day, people lose all muscle-moving ability from around seven o’clock onwards because they’re stuffed up to the pituitary with crap food, and any attempt to reach for the remote becomes as exerting as a 100m sprint-off against Usain Bolt. Perhaps Omar’s refusal to buy life jackets was for the best, because this is one comedy crash landing you really wouldn’t want to survive. What you will see, however, are lovely, intelligent, cheerful people doing fascinating things in beautiful surroundings – with such obvious enjoyment that I defy anyone not to be disarmed by their enthusiasm. Historians Ruth, Alex and Peter spent a year living as Edwardian farmers to make this programme, and it shows. It’s not just the period costume and the Edwardian diet of cheap cuts of mutton and ale in sturdy bottles. They care. They really, really care. The men fret that their amateur shearing technique might traumatise the sheep. Ruth reacts to successfully clotting cream as if she’d turned base metals into gold. It’s infectious, this caring business. Watch Alex delivering his first lamb at midnight by the dim light of an oil-lamp, and you’ll see what I mean. The presenters may be not be slick but they’re naturals when it comes to bringing the past alive. I even found myself sharing Peter’s childlike delight at finding a very old door and some bracken. If GCSE history teachers were this good, we could breed a nation of Simon Schamas. Each episode’s work is dictated by the season, and there’s something comforting about being reminded that even though we can buy strawberries in January these days, there’s still an age-old natural rhythm rolling on. It seems right, somehow. Oh, and vaguely pagan. Alex’s face certainly lit up when he found a row of standing stones. In a world where reality TV now seems to mean a witless 20-something presenter crowing over a celebrity gagging on a live wallaby foetus, Edwardian Farm is a tranquil oasis of calm that warms the cockles of this particular city girl’s heart. OK, so there’s not much drama, not much conflict. Sometimes, Ruth’s a bit bossy, but so would you be if you’d just washed 50 bug-ridden fleeces in a river. Anyway, she’s mostly off potting shrimps and making lace, and Alex and Peter are so guilelessly charming that they more than make up for it. Need any help with the harvest, boys?